Listen here to this great Good Friday hymn, sung by the Fron Welsh choir. Tremendous recording of Rossini's Stabat Mater at the Salzburg Festival, conducted by Anonio Pappano. Listen here, and click here for the translated text. Over three hours of moving sacred music for this great season. Includes "Drop, Drop, Slow Tears", "Pange Lingua", "O Sacrum Convivium" and "Misereri Mei". Pray with the words and the music of the "Improperiae" or "Reproaches”, frequently sung at the Veneration of the Cross on Good Friday. This version was composed by Tomás Luis de Victoria, one of the greatest 16th century composers; it is sung here by the magnificent choir of the Church of the Advent, Boston. Scroll down to the end of the lyrics to access the music. 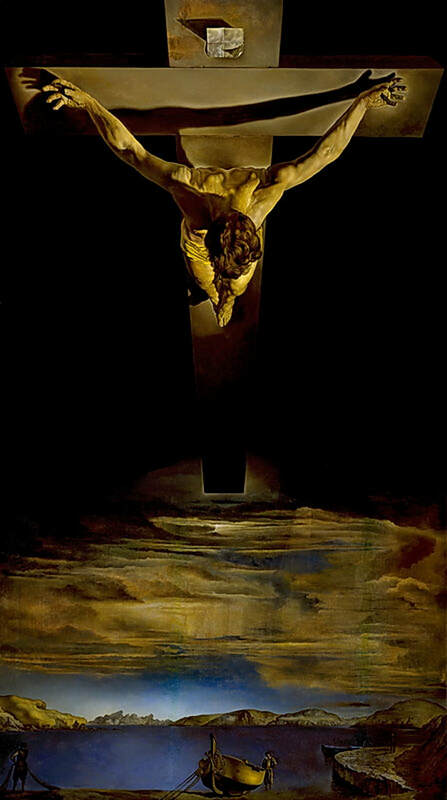 If you cannot get to a Good Friday service, consider listening to Bach's entire Saint John's Passion, performed at the BBC Proms in the Albert Hall.